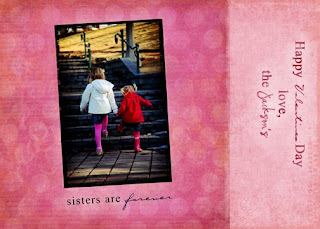 I had a friend ask if I could design a custom valentine for her girls, her request was that it was pink and bright and said “sisters are forever”. I really enjoy doing custom designs and really creating the card or announcement around the photo(s) I am given. Happy Valentines Day!